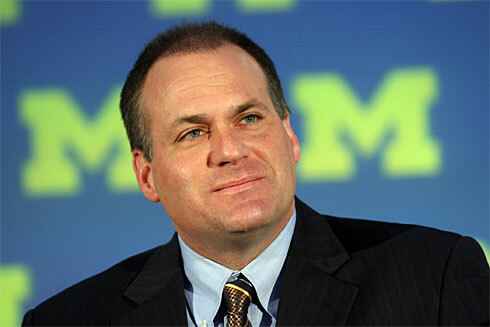 –The University of Michigan’s new football coach Rich Rodriguez responding to a question on why he turned down Alabama last year after saying that coaching at Michigan was an opportunity he had no intention of passing on. Mr. Rodriguez, as of today you are a Michigan man. Welcome, good luck, and go blue. Obama is being attacked for a number of reasons beyond being young and inexperienced. Many in the net-roots are upset that Obama wants to govern as opposed to fight Republicans 24/7 for the next eight years. I guess this marks one of the differences between the more partisan Democrats and us independents who lean towards Obama (unless one of the second tier candidates–the ones with the real experience–pull an upset and look like they might be able to win). Paul Krugman never got over the fact that Obama out-smarted him earlier in the month and is determined to continue his attacks. Now Krugman calls Obama the “anti-change candidate” and prefers John Edwards and the “populist tide.” If “change” means following the ideas of this year’s John Edwards then I’ll vote for the “anti-change” candidate. Tony Snow, former press Secretary to President Bush and Fox news anchor, spoke to the Academy of Leadership & Liberty at Oklahoma Christian University last week. I don’t think they’re going to beat Jesus. … You’ve mentioned the fact that you’re not allowed to have Christ at Christmas. I mean, I went to a Christmas store this week. It didn’t have anything about Jesus. It had all sorts of funny little ornaments in it, but nothing about the holiday. People are tired of that. Over the weekend there was a story about a conservative being assaulted because of his views at Princeton. Following recent posts here on the murder of someone who supported evolution by a creationist and attacks on people celebrating Hanukkah, I almost posted on this in the spirit of opposing violence regardless of the political motivation. However, while I couldn’t prove it, something smelled funny about this story and I decided against posting about it. Perhaps it was the number of exaggerated claims of suppression of free speech conservatives have claimed, or the number of totally erroneous incidents people like Bill O’Reilly have cited in their reports of a War on Christmas. I’ve just become skeptical of all the stories of conservatives as victims. I certainly was not going to post my skepticism yesterday because it would both be awful if a conservative was really assaulted at Princeton for his beliefs and I would hate to question such a story if it was true. In this case my gut feeling was right. It was confirmed today that the story was fabricated. What Will Ron Paul Do With All This Money? In follow up to my earlier post on yesterday’s fund raiser for Ron Paul, the question remains where Paul goes now that he has so much money at his disposal. While I’m sure it will be helpful, I wonder if this latest influx of money is too late to have any impact in Iowa and New Hampshire, but it certainly guarantees that Paul will remain in the race well beyond other more mainstream Republicans are forced to drop out. Paul also has the ability to launch a third party bid, and he has always left the door open a crack when denying this intention. But the deeper reason to support Ron Paul is a simple one. The great forgotten principles of the current Republican party are freedom and toleration. Paul’s federalism, his deep suspicion of Washington power, his resistance to government spending, debt and inflation, his ability to grasp that not all human problems are soluble, least of all by government: these are principles that made me a conservative in the first place. No one in the current field articulates them as clearly and understands them as deeply as Paul. If we accept Sullivan’s somewhat rosy view that “freedom and toleration” have previously characterized the Republican Party, the question is whether Paul’s influence can move them back in that direction. At present, despite the various theories spread by his supporters that the polls greatly underestimate Paul’s support, Paul only receives the support of a small percentage of Republicans. Such polls are sometimes misleading, as when John Kerry trailed Al Sharpton in some polls in the fall of 2003, but Paul’s problem is that his views differ so radically from those of the rest of the party. Democrats had no problem backing Kerry after he made a come back, but most Republicans would not be willing to back Paul should he manage to use his new money to start winning primaries. The Republicans would quickly unite behind a candidate who supports the war and has little respect for civil liberties. It’s practically in their DNA. Mr. Paul is putting together a unique campaign that heavily relies on new voters, the majority of whom weren’t active in Republican politics until now. Drew Ivers, chairman of Mr. Paul’s Iowa campaign, said he finds that only between one-fourth and one-third of supporters who show up at events for Mr. Paul in that state are registered Republicans. Mr. Paul posts the state-by-state deadlines for switching parties before the primaries on his Web site. If Paul is to succeed and change the party, it will be far more a case of the party machinery being taken over from without. This assumes that the Republicans believe in democracy and will allow this to happen. My bet is that they will put up quite a fight, not necessarily clean, before giving up control. However, considering the number of people who have abandoned the Republican Party in recent months, maybe they have an outside chance. Despite my disagreements with Paul’s supporters over issues such as separation of church and state and their view of states’ rights, the overall views of the current Republican leadership are far worse. Supporters of Ron Paul raised almost six million dollars yesterday, falling short of their goal of ten million dollars. This was another tremendous achievement, especially considering that this was the work of supporters and not the official campaign. However in failing to meet their goal it also shows that Paul supporters continue to overestimate their support and lack experience. Professionals would know to underestimate as opposed to overestimate the expected results and avoid such failure to meet their own predictions. Just as they overestimated the expected contributions, it is safe to predict that Paul supporters will overestimate the meaning of accomplishment. While it certainly demonstrates the power of the internet to affect politics, it does not mean Paul has a chance to win the Republican nomination. We saw comparable expressions of on-line enthusiasm from supporters of Howard Dean in 2003-4, with Dean even leading in the polls. Such support does not necessarily translate into votes. Paul very will may exceed his place in the polls, and perhaps even manage an upset and win in some states, but his views are simply too far out of the mainstream of the Republican Party for him to have any chance to win the nomination. Paul currently benefits from combined opposition to the war and a general disdain for big government which will allow him to pick up some votes beyond those of his die hard supporters. However there is a fairly low ceiling on his potential support, and he cannot hold up well to increased scrutiny. Should he move out of single digits and appear to be a real contender, he cannot count on softball interviews such as the one recently conducted by John Stossel which came off far more as an internal campaign presentation than an exercise in real journalism. Paul currently receives support from a curious assortment of libertarians, paleoconservatives, white supremacists, neo-Nazis, and conspiracy theorists along with others who do not really understand the consequences of his views. Should Paul face greater scrutiny it will become apparent that he is far more a social conservative and states’ rights advocate than libertarian, and his views would likely lead to less rather than more freedom for most of the country. One of the major challenges to individual liberty today comes from the increased influence of the religious right. Paul’s denial of our heritage of separation of church and state, and belief that the founding fathers intended to create a Christian nation, could have a devastating effect on freedom in this country should he be elected. The harm would be increased by the view of Paul and many of his supporters that Constitutional liberties only apply to the federal government and not the states, ignoring the 14th Amendment. Paul’s views on conspiracy theories will create further doubts as to whether he is intellectually fit to be president. Ron Paul was a fringe candidate before the recent successful fund raisers. Now he’s a fringe candidate with a large amount of money, but still a fringe candidate. Having a lot of money will allow him to make the primaries more interesting, and continue his criticism of Republicans for their disastrous foreign policy and lack of respect for civil liberties, but will not affect the outcome of the race. Update: Salty Pig claims that, controlled for inflation, Paul did not break Kerry’s record. He also notes that Paul supporters missed an opportunity here to point out the effects of currency debasement after only three years. Even if you accept his argument, this is still quite an accomplishment for Paul’s supporters considering Kerry had quite an advantage in fund raising after winning the nomination. On top of multiple erroneous claims that I was incorrect on this point, the mod que is full with the usual supply of insults which are generally directed against anyone who dares to disagree with Ron Paul, a number of the usual revisionist theories on the Constitution which show that the Constitution as viewed by Paul supporters is quite different from what was envisioned by the framers, as well as all the predictions of how Paul will win the election. My “favorite” is the guy who spent the time to send about ten comments full of irrational rants and then bragged about his ability to ignore the MSM and others who criticize Paul. Oh, the blogosphere would be a so much better place if only these people really did ignore criticism, or at least learn to respond to it in a rational manner! Update III: What Will Ron Paul Do With All This Money? Update IV: It’s after dark and the loonies are really coming out now. There’s more comments with paranoid ideas that this post is part of a conspiracy to thwart their “revolution.” One asks, “who do you work for and who do you serve?” If I didn’t think that most Paul supporters are too young to have watched The Twilight Zone, I’d be tempted to panic them by hinting at yet another, more horrifying, conspiracy by responding that my goal is “to serve mankind.” Paul can’t be totally blamed for his supporters, but how does one candidate polling at only around five percent mange to have so many kooks backing him? Remarkably, nobody has brought up the Council on Foreign Relations yet today. Update V: Ron Paul gives a good answer to the question of what he will do with the money, but not many pay attention or give him credit for having the right idea on this. Update VI: More proof of that Ron Paul is a fringe candidate. He can’t even beat Allan Keyes.